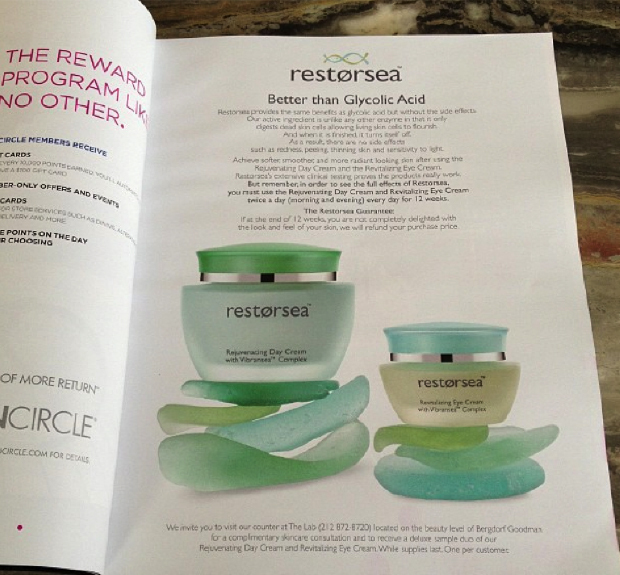 Check out our new ad in the June Bergdorf Goodman catalog featuring our Rejuvenating Day Cream. With details on how Restorsea is Better Than Glycolic Acid (same benefits but no side effects due to our exclusive enzyme, Aquabeautine XL®), the ad also invites customers to pick up a free deluxe duo sample of our day cream and eye cream at our counter. Pick up your copy at Bergdorf Goodman today!